A study published in the journal Cancer Epidemiology, Biomarkers & Prevention links higher risk of cancer for tall postmenopausal women. Researchers found the taller a woman is, the higher the risk of breast, colon, endometrial, kidney, ovary, thyroid and rectal cancer, but why? Other cancers linked to height in postmenopausal women found in the study include multiple myeloma and melanoma. For their study, researchers at Albert Einstein College of Medicine of Yeshiva University, New York, NY suspect the risk of cancer is higher for taller women because both height and cancer involve growth factors. Geoffrey Kabat, Ph.D., senior epidemiologist in the Department of Epidemiology and Population Health at the University said in a press release: "...it makes sense that hormones or other growth factors that influence height may also influence cancer risk." 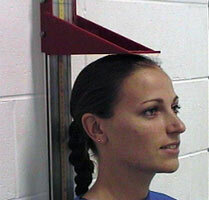 The study authors also say some genetic variations linked to height are also associated with cancer.